Through my personal experiences at the place of H.H. Dorje Chang Buddha III during my twelve years there as a bhiksuni, which include disappointment, sadness, pain, and awakening. Upon graduating law school, Shi Zheng Hui decided she could better penetrate and accomplish her life by entering a monastery in Taiwan as a Buddhist nun. In 2001, she was given a rare opportunity to study in America at the Temple and home base of H.H. Dorje Chang Buddha III where she received Buddhist training of the highest order. Her book, Revealing the Truth tells the story of her extraordinary experiences there, including being witness to miraculous manifestations during Holy Assemblies and on other occasions. Her story exemplifies the sometimes painful and sometimes exultant life of a deeply committed Buddhist cultivating herself through effort and self-reflection to emulate the actions, speech and thoughts of a Bodhisattva (a selfless being who lives to help others eliminate suffering and become enlightened.) After years of cultivation and refinement, Zheng Hui proves her worthiness to receive a very great Dharma practice and is transmitted the Xian Liang Great Perfection Dharma through which she actually accomplishes the rainbow body state. H.H. Dorje Chang Buddha III, by virtue of His unprecedented accomplishments, has been recognized to be the incarnation of the Ancient Buddha by scores of high-level masters from Tibet and elsewhere. On September 10, 2008, the US House of Representatives confirmed these recognitions in H. Res. 1423. Prior to this recognition in 2008, His Holiness was known as the Great Dharma King Yangwo Wan Ko Yeshe Norbu and also as Master Wan Ko Yee. H.H. Dorje Chang Buddha III is also famous in Asian Art circles for His paintings and sculptures. 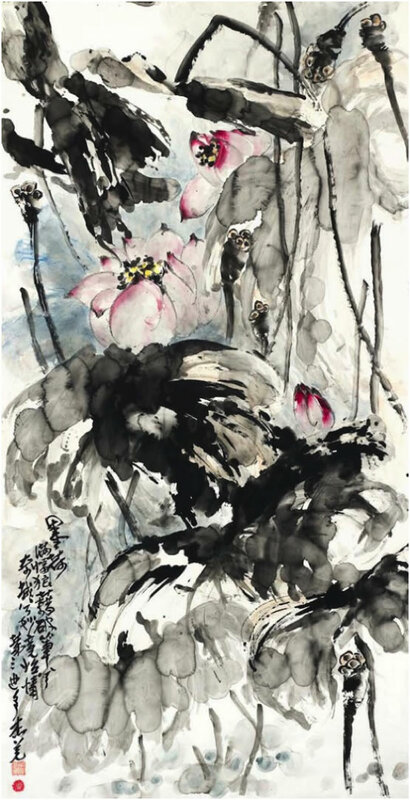 A recent painting, Ink Lotus, was sold by the Gianguan Auction House on March 11, 2015 for over 16 million dollars. One of the His Holiness’s widely viewed sculptures contains a mysterious mist that miraculously occupies a cavernous carving in a sculpted boulder. This otherworldly sculpture has been exhibited at the US Capitol’s Rayburn building in October 2003 and in Los Angeles and San Francisco, California. 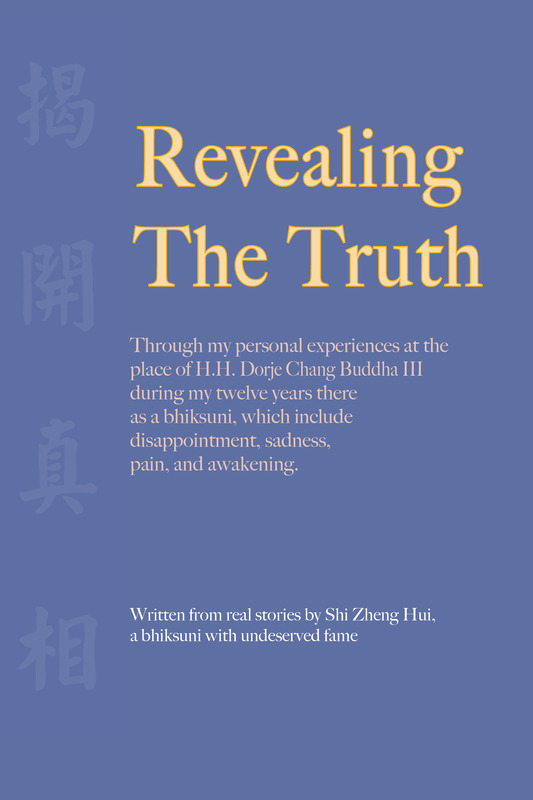 Revealing the Truth is now in English translation from the original Mandarin language edition published in Taiwan in 2013. (Above) San Francisco June 21, 2008. 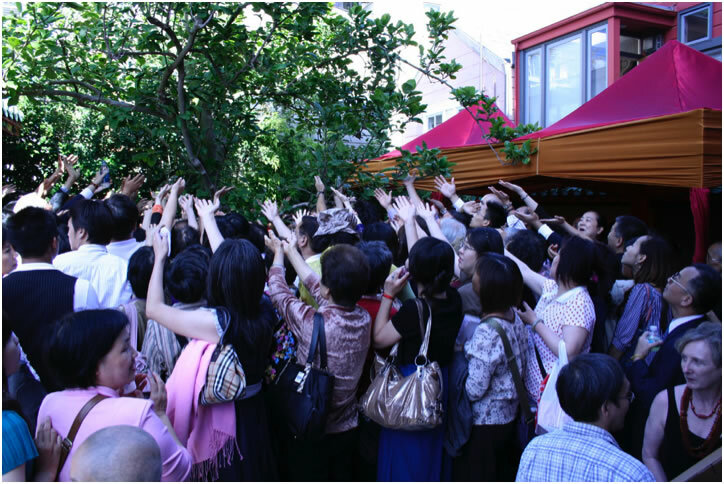 The packed crowd under this holy tree at Hua Zang Si was happily reaching for the fragrant nectar descending from empty space. From Revealing The Truth by Shi Zheng Hui. Ink Lotus by H.H. Dorje Chang III. Sold by Gianguan Auctions on March 11, 2015 for $16,500,000. 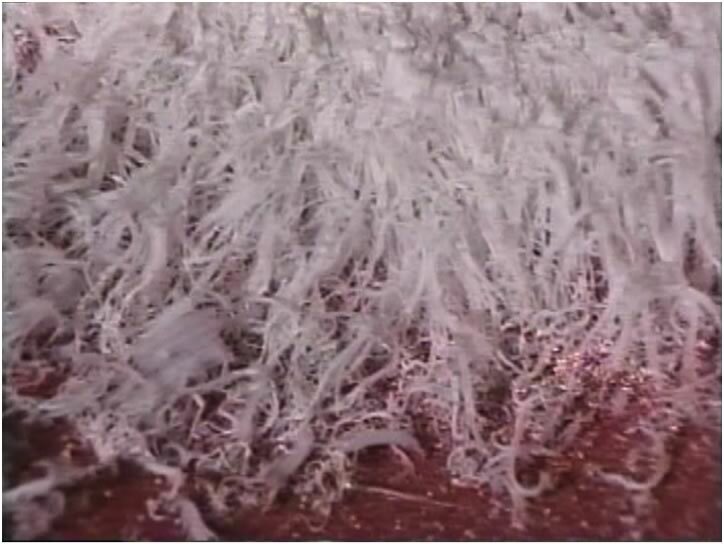 Image courtesy of Gianguan Auctions.